Promoting and preserving world culture and heritage in London, Local World Arts presents the best emerging and innovative artists from the local communities that make London a multicultural and vibrant city. Following the success of Venezuela’s Simon Bolivar Youth Orchestra, Local World Arts presents Los Niños Vallenatos, the product of Colombia’s own ‘Sistema’ for the very first time in the UK, in association with the Embassy of Colombia and supported by the Mayor of London. ‘A child will not pick up a knife if he makes music,” says Andres ‘El Turco Gil, the project’s founder. For over 20 years, El ‘Turco’ Gil, a Vallenato musician, considered one of the most important accordion players in Colombia, has been recruiting vulnerable children from the streets into a life of music. His casual teaching sessions have over the years been transformed into an internationally recognised international school. Using Colombia’s rich folk tradition rather than classical as the vehicle, the result of this phenomenon is Los Niños Vallenatos, an 11-piece Colombian accordion band made up of 10 to 19 year olds. Having breathed Vallenato, Cumbia and Porro all their lives, the mini accordion and vocal virtuosos have gone from competing in the annual international ‘Vallenato Legend Festival’ in Valledupar to performing for Bill Clinton, who dedicated 2 pages of his Autobiography to them. They are finally on their way to London, after having performed all over Latin America, the US and Europe. Back in Colombia, the social role of the school is that of a hub for learning and developing musical talent. This keeps kids out of conflict, which has been present in the region for over 60 years. This is their London debut so expect Colombian and other Latin communities to come and support in big numbers! Vallenato music is beautiful to dance to, a more romantic alternative to salsa, and will soon have all Londoners demanding more. This music hits the soul. 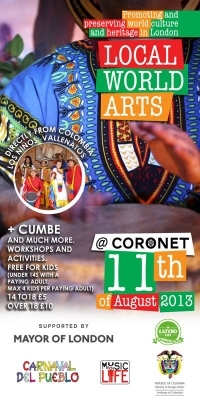 Los Niños Vallenatos will be supported by Cumbe, one of London most important latino folk bands, bringing their Afro Latin flavours to the crowd. This is the result of the passion of 5 musicians from Colombia, based in the UK, keeping their roots, the Caribbean and Pacific Coast of Colombia traditions, alive. Also performing, Expresion Inca Project, Atlachinolli Dance, Pacific Vibrations and Up coming DJ Luigi Sanchez. There will also be workshops and a spiritual healing area. Local World Arts presents the best emerging and innovative arts from London’s Latin American communities. The events are rooted in the ancestral traditions of Latin America, as well as the Urban contemporary London scene. 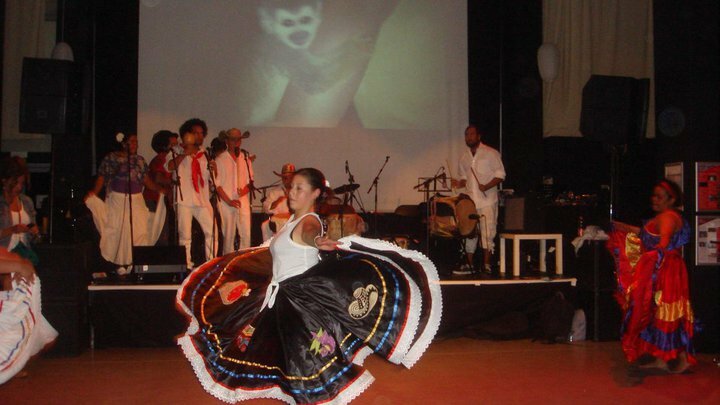 Local World Arts Festival is a collaboration between Music for Life and Carnaval del Pueblo. Music for Life is an organisation that promotes education and cultural heritage and serves Latin American artists looking for showcase opportunities. Carnaval del Pueblo is the biggest Latin American and Hispanic event to take part in London and has been presenting international and local artists for the last 15 years. Our workshops offer an opportunity for parents and their children to share together the beautiful opportunity to experiment arts and wellbeing activities. Camilo Menjura: Talented singer and guitarist, recently won two prices in the Latin UK Awards 2012-13 'LUKAS',~ "Musician of the year" and "Community worker of the year" for the London Colombian Choir. La Magia del Tambor Project: Drumming master Emeris Solis. Professional drummer and performer with experience at international level delivering workshops for the British council, Aldeburgh music Ltd, and SPNM (music promoters) for “bhangra latina”. Afro-Latin Dance Workshops: J Carlos Riaño, qualified dance and Fitness Instructor with 5 years of experience in London, with an extensive trajectory as dancer for different dance folk groups in the UK and Latin America. Dance Workshop: the Expresion Inka Project is grass root community project working that used the ancestral and cultural heritage of the Andes to work cross cultural and intergenerational projects in London. "Heart Drumming": by Afro-Colombian Shamanic Rhythms, this workshop is run by Rafael Ayala Anthropologist and researcher specialised in Afro-Colombian Rhythms with special interest in ancestral indigenous knowledge and shamanic practices. Sound healing: Lani Rocillo is a sound healer, singer and sound artist who works with the voice, light language, alchemy crystal singing bowls, gongs, drums, Himalayan singing bowls and various percussive instruments. Didjeridu Sound healing: Alex Aka is sound healer that uses the Didjeridu to increase the vibrations levels and bring positive and healing vibrations. Oracle reading and Interactive Love Circle: Katiushka Borges, an Artist and Love Healer, with a passion to empower others to have better relationships, to love and be loved in a good way. She is also an International Certified Coach and NLP Master Practitioner. In the year 2012 Music For Life link with the artist Tato Marenco and organise concerts and a number of educational activities and workshops, during his visit to the UK. Tato Marenco y Via 40 at Carnaval del Pueblo 2012. London’s second biggest festival, Carnaval del Pueblo explodes in joyous and colourful fiesta glory and is the largest celebration of Latin American culture in Europe. Fundraising Party for the Hijos de Mama Cumbe. Organised by Music for Life in partnership with Cumbe and Russ Jones . 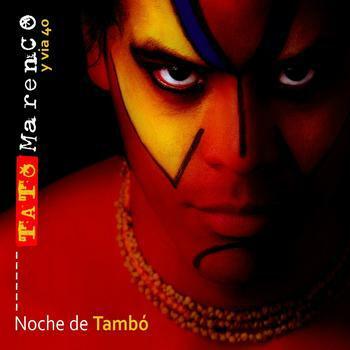 This project originated from Tato Marenco, Colombian musician and 10 years percussionist for Totó la Momposina. He is the developer, musical director and driving force behind Los Hijos de Mamá Cumbé. Tato started recording in 2009 and now needs your help to record, mix and master the last 5 songs on the album Mamá Cumbé in time for the Latin Grammys. Toto La Momposina's number one percussionist Tato Marenco playing full power Cumbia and Afro-Colombian roots rhythms, with nine musicians from his Paris based band and some of London's top Colombian players: "The cumbias, puyas, gaitas, garabatos, porros and mapalésamong others, where the force of the Afro -Colombian drums, the gaitas and indigenous flutes mixed with the European metals and the warm and sensual voices of the Caribbean, make TATO MARENCO y Via 40 a spectacle not to miss." The Afro-Latin Ensemble, is a project aim young from disadvantage backgrounds. We will provide Drumming, Dance and film workshops. These workshops will focus around people current concept of local democracy and International Citizenship. We will explore these concepts using the arts to create awareness about local and international issues such as: Our historical connections, cultural diversity, environment, poverty (child labor) and participation. The outcome of the workshops will be express trough a performing arts piece that can be taken to stages, community centers and theatre. We specially focus in the African Diaspora and how the African culture influenced the construction of the Latin-American identity. We will use music as a historical conductor tool to critically Approach and acknowledgment the huge contribution that Africa has made to the Latin-American culture. The African and Latin-American history will help us to illustrate how migration has bring about Multiculturalism and especially how that cultural Diaspora is stills going on, now taking place in the UK as the recipient society. In 2010 Music for life was commissioned to coordination and delivery the Carnaval del Pueblo Arts Council project. Carnaval del Pueblo is the biggest Latin American outdoor festival in Europe. The Bicentenary Celebration brought together 15 different arts and community groups from different countries in Latin America resident in London. They took over Walworth road with 12 push floats, dance and music groups. Our workshops will be base in given participants the opportunity to learn the African influence in Latin-American contemporary music. We will start from Afro-Cuba, Afro-Venezuela, Afro-Colombia, Afro-Uruguay, Afro-Peru. The workshops will be deliver by professional and well-known tutors with a 10 minutes introduction about the historical background of each region.